Former PM congratulates Avi Gabbay, says Israel is "closer to a revolution". 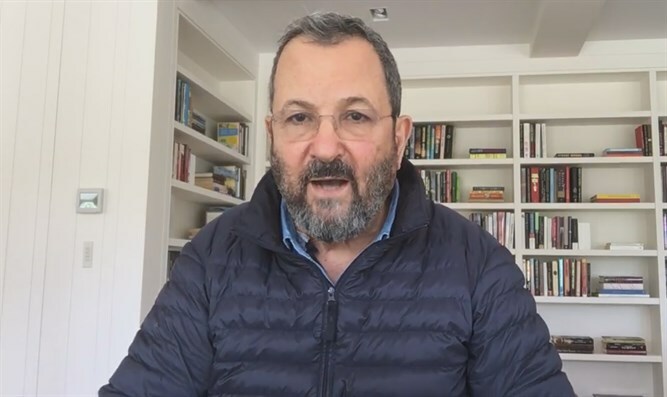 Former Prime Minister and Defense Minister Ehud Barak on Monday evening posted a video to Facebook in which he congratulated Avi Gabbay on being elected Labor leader party. As he has repeatedly done in recent months, Barak took advantage of the video to mock the Israeli government led by Prime Minister Binyamin Netanyahu. "A revolution in the Labor party,” declared Barak. “Gabbay won because Labor members want victory, not slogans. Bibi, Bennett and their servants are sweating tonight, and for good reason. We are all one step closer to a revolution in the country. Enough of government corruption and incitement, enough of delusions. It's time to assess the situation and immediately afterward to take action." "This is true for Avi Gabbay, it is true for the entire camp of national responsibility and for all public figures who believe that if we want to, we can lead Israel to a safe haven." "Only a large bloc will bring the spark back to the eyes and the hope to the heart. Today we say to Avi Gabbay: Congratulations and good luck," Barak concluded. Barak last week announced his backing for Gabbay in the Labor primaries over Amir Peretz. Barak has continuously attacked Netanyahu's government, having recently accused it of leading towards a reality of one state with an Arab majority. He previously attacked Netanyahu on Twitter and called him “a deceptive and cowardly Prime Minister”, following reports that Netanyahu rejected a document about a regional peace initiative. And, in another interview, Barak charged that Netanyahu had been “kidnapped by right-wing settlers”. Barak, who then served as Netanyahu’s Defense Minister, left the Labor party in 2011 in order to form the Independence party. Despite his support for Gabbay, it is unclear whether he still has political aspirations, though recent reports indicated that he had tried – unsuccessfully – to convince other candidates withdraw from the race for the Labor leadership and support him.